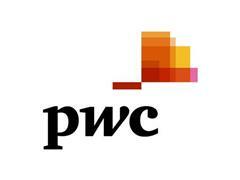 BEIJING, China, 8 Nov 2014 – Confidence among CEOs in Asia Pacific continues to get stronger, a new report by PwC finds. Forty-six percent of executives in the region now say they are “very confident” of growth in the next 12 months, up 10 points from 2012 and four points from last year, despite slowing growth in China, the economic engine for the region. 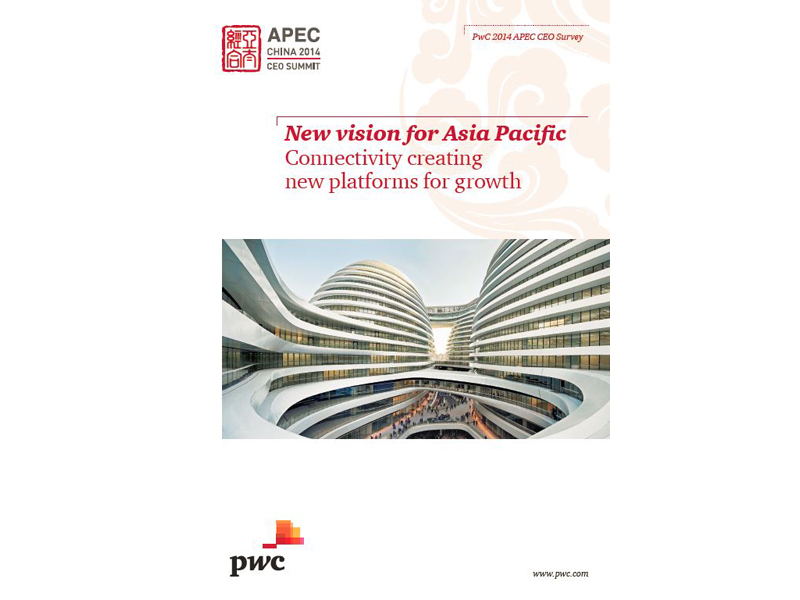 PwC’s study, 'New Vision for Asia Pacific: Connectivity creating new platforms for growth', surveyed more than 600 business leaders about prospects for business in the region. It was released today at a meeting of the Asia Pacific Economic Cooperation (APEC) in Beijing. The survey found that 67% of executives plan to increase investment in the APEC region over the next 12 months. Their plans are spread over each of the 21 APEC member economies, with China, the US, Indonesia, Hong Kong-China and Singapore the most popular destinations for investment. Capital spending is a part of it; 57% of respondents said they are either building or expanding facilities in APEC economies in the next 3 to 5 years. Most also plan to hire: 38% of respondents expect headcount in their organisations globally to expand by at least 5% a year over the next 3-5 years. Supporting this confidence is a vision of an Asia Pacific region that is more connected, both physically and virtually, and an outlook for more balanced regional growth. For example, nearly 60% of executives say they are now more willing to share insights and resources with business partners in order to speed product development and gain market access. And more than 40% say their company will likely enter a business combination outside of their core industry. The survey found that data-driven changes are having an impact in the region; 57% of executives say they are more confident of their ability to respond to changes in the marketplace, and half say they are more skilful at forecasting demand. These executives are more likely to be “very confident” of growth (67%) than their peers. Domestic competition is intensifying, while compliance and tax uncertainties continue. Twenty percent of respondents say they are less confident in their ability to increase profit margins on their domestic operations than they were a year ago. And 15% say their confidence in forecasting compliance and tax liabilities declined over the year. More executives with operations in China are “very confident” of growth in the Chinese market (42%), than are confident of growth internationally for products made in China (32%). A healthy, skilled workforce remains a priority; 75% of respondents already have employee training/retraining programmes and 17% say they will implement one. Many APEC businesses are not ready to fully participate in the digital economy. Less than half (46%) of Asia Pacific executives are confident they are profiting from their investments in social networks. And between 12% and 22% of APEC businesses are “very confident” across a range of social network capabilities. Momentum for free trade continues, but progress is slow. Seventy percent of respondents say APEC is moving closer to a Free Trade Area of the Asia Pacific (FTAAP), but more than half (55%) say progress is lagging, and 11% say it has stalled or even reversed. The Asia-Pacific Economic Cooperation (APEC) forum is the premier economic organisation in the Asia-Pacific region. Established in 1989 by 12 economies, APEC fosters growth and prosperity by facilitating economic cooperation and expanding trade and investment throughout the region. APEC’s 21 member economies today account for 55% of global GDP. The APEC CEO Summit is the Asia-Pacific's premier business event, drawing thousands of economic and business leaders from around the region and beyond. The 2014 CEO Summit will be held from 8 November to 10 November in Beijing, China. Carried out by PwC International Survey Unit, the APEC CEO Survey 2014 was conducted between June and August 2014 covering 635 CEOs and industry leaders across 39 nations with operations in APEC economies. 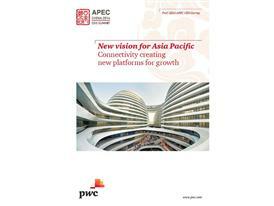 The full survey report can be found here www.pwc.com/us/apec/2014​. David Wu, Government & Regulatory Affairs Leader, PwC China.